No phones have been announced with either the Snapdragon 730 or 730G, however. Though most premium smartphones use Qualcomm’s 8-series CPUs like the Snapdragon 855, the new 7-series chips are designed for a slightly cheaper but still premium phone. Both the new Snapdragon 730 and Snapdragon 730G are nearly identical, according to specifications provided to PCWorld. 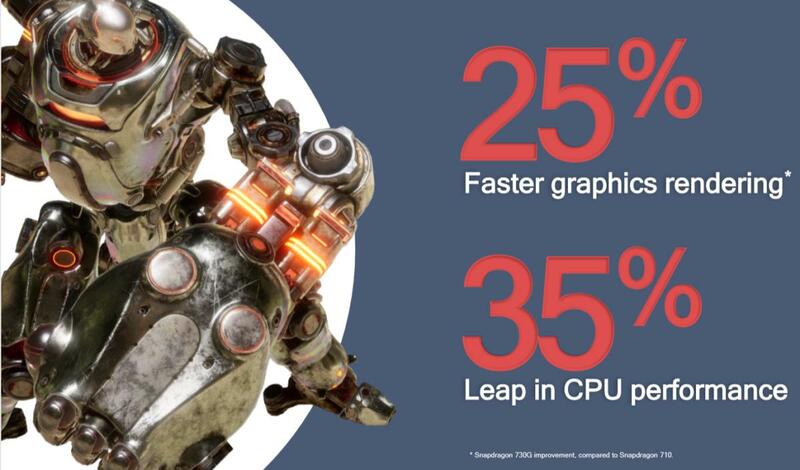 The difference is that the Snapdragon 730G overclocks the integrated Adreno 618 GPU, providing up to 15 percent faster GPU rendering. Qualcomm claims that the Snapdragon 730G offers 25 percent more graphics performance than the Snapdragon 710, and 35 percent more CPU performance. It’s also the first 7-series chip to offer “HDR gaming”. The problem with this last claim is that the Snapdragon 710 only appeared in a handful of midrange phones from companies like Xiaomi—a huge brand in China, but one with almost no presence within the United States. Other gaming-specific features include support for the Vulkan 1.1 gaming library, which Qualcomm says can run off 20 percent less power than OpenGL ES. The chip also includes what Qualcomm calls “Jank Reducer,” a motion smoothing technology that helps avoid stutter for games running at 30 frames per second. The Snapdragon 730G also include a Wi-Fi latency manager to help smooth choppy wireless connections, too. Qualcomm also said it worked with some of the world’s top mobile game makers to optimize the chip for those games, and integrated “anti-cheating extensions” to level the playing field, too. 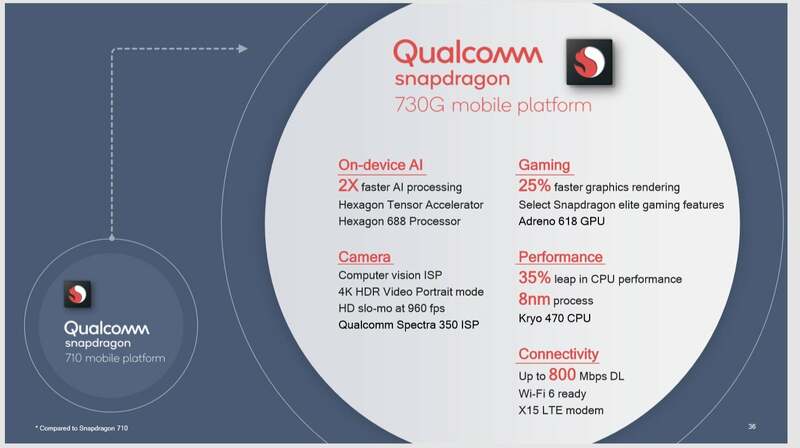 Qualcomm’s 730 and 730G platform integrates the Spectra 350 DSP, Qualcomm’s first computer-vision image-signal processing chip to appear in a 7-series Snapdragon. The ISP supports up to three cameras for ultra-wide, telephoto and normal lenses, as well as the ability to compute bokeh, even within 4K video. Users will also be able to command the phone using Qualcomm’s 4th-generation AI engine, the Hexagon 688. Machine learning, in fact, is the focus of Qualcomm’s launch event Tuesday, where the company will debut an accelerator for bringing cloud-powered AI capabilities closer to the edge, called the Cloud AI 700 accelerator.